I don't agree. Time may march forward and we progress. Progression doesn't mean it is good. Look at the Mayans. The manual gearbox is like the vinyl record where as PDK is like the cassette tape. The cassette tape was a leap forward but the record will continue on. nahh...PDK is a Reference Recordings 24/176 audiophile delight! In general, Enrique, I understand where you are coming from. First, just a point of historical clarification. The 944 was never considered as a replacement for the 911. That role was assigned to the 928! Managing Director Ernst Fuhrmann thought that was the way to go...and Ferry Porsche was apparently not opposed. It is believed that Peter Schutz, Ernst replacement as CEO, and other influential board members didn't allow that to happen. I lived through that era and followed it closely! We all know where the 928 ended up...back to the future as the new 'Panamera'! But I digress. Take our your references to 'rich jockey's' (sounds awful like 'Occupy America' speak) and I am with you, brother! I must tell you that some of the BIGGEST proponents of the purest-type 991 gt3 are very wealthy Porsche enthusiasts in these United States! Who do you think are ordering these cars? This is not a 'class struggle or warfare', it is (in my opinion) a fundamental misjudgment by PAG, PCNA & their lawyers of a niche market segment that had, until now, a 'halo' effect on their entire model lineup in the US! The average 991 'Carrera' and 'S' buyer in America revels in the fact that a 911 very similar to theirs - a gt3 - is out on the track every weekend mixing it up with the best from Italy, Japan, etc! Now, they will see less, not more, gt3's doing that and eventually they will start to wonder 'why'! That is not smart policy...or thoughtful marketing, both on the short or the long run! I believe PCNA will try to make it up to us in the upcoming US spec gt3 RS! They will try to make the RS bullet-proof (re: improved CL, etc.) before they release it next year. These kind of embarrassing failures (plus the liability) is what they are trying to avoid by making the base 991 gt3 less recreational track-friendly, while all the 'new' components are rigorously tested! And it will have proper sport bucket seats (with airbags). Nevertheless, the 991 gt3 'unveiling' at Geneva (for what was said & was not said; what is included & what is not) has left a sour taste in the mouth of many of their former staunch Porsche customers & supporters here in this country! And you & many others in this RL forum have expressed yourselves very eloquently on the subject matter! Eduardo, I agree with you and I hope you are right BUT I believe, in very simple without writing a thesis, what you are stating is the main issue. Porsche will make it up with with the RS. Marketing. Diluting the 911 GT3. Now the GT3 RS will please the original GT3 owners. 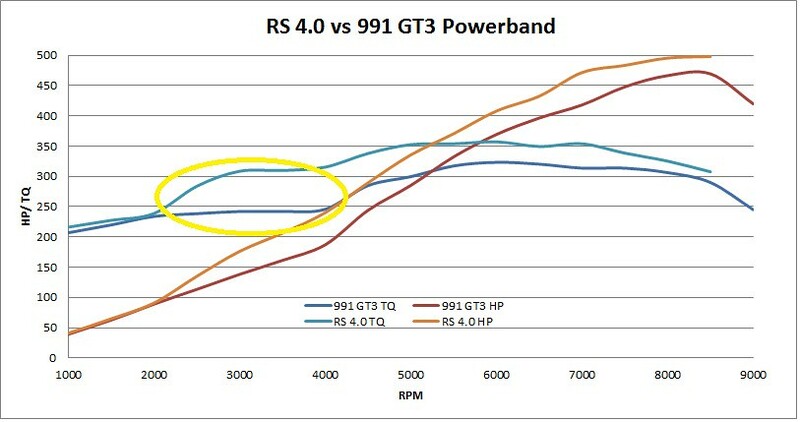 I thought the C2s hyped up model to bridge the gap between a C2S and the GT3 was a GTS. This car that was presented at Geneva should have been put on a GTS. Do we really need all these variants ? I'm not even including the convertibles..
Why not a simple diaphragm for what each car is design for. 911 Turbo - for those whom want a little of everything in 1 bundle. Some like to listen to music, while others make it. So is with the PDK vs manual. Btw I am not saying it should be only manual. I only want the option for manual as this would be the only way I would buy it new or on the used market. I agree there should have been a manual option. I personally, from what I have heard ex factory, do not believe a manual transmission was ever a real contender for the 991 GT3. Test mules have sported the PDK in various guises since July last year and I cant recall seeing any spy photographs sporting a manual transmission. Of course the development path of the 991 GT3 RS (if there is to be one) is now well advanced and by the time customers take delivery of 9991 GT3 will all but be signed off. Its going to come down to what the motoring world say about the PDK GT3. They will be the first to tell us how this car drives and we will likely start reading about it from July/August this year. They are really the only medium that could change any predetermined course of transmission selection for the 991 GT3. I believe the GT3 & GT3RS should have only one choice of transmission. As AP has said they are a small team and offering a choice means designing two different cars (due to electronics, weight distribution etc) and the resources dont exist. The GT3 should always be a cohesive design from impetus to execution to retain its character and specific traits (for better or worse). I don't buy the story about an overhead to build and manufacture two transmission either. In fact, they have two different PDK transmissions already, one for the mid/rear engine cars and one for the front engine cars. On top of this they still offer a conventional automatic for the Cayenne since PDK has not proven itself offroad (yet). 1.) The performance difference for a PDK versus manual GT3 is too large to justify a "suboptimal" manual car. 2.) The stricter emission laws. That one additional step makes Option 2 so much more logical. As Macca pointed out earlier, it's basically what AP has said; drive the car then let me know. Even if some preliminary details are disappointing to you, why the insistence on reaching a premature conclusion? Are people afraid that pre-conceived ideas and prejudices might be challenged if they actually drove the car? I honestly understand the healthy skepticism about PDK, RWS, etc. But I don't understand the desire for a rush to judgement before even seeing the car in person, much less driving it, or at least getting input from reputable reviewers. I wish someone would explain the reasoning behind that. Al +Stirling. I don't disagree that there is an agenda at play here, Porsche is a corporation after all. AP said the resources weren't available so I think the point is that if you read between the lines (as you have identified) there is no internal mandate to make a manual a serious contender for the new GT3. I believe its probably a performance related decision. Mike is right however. Until someone has driven the damn thing and reported on it much of what we are discussing falls into the speculation camp at this stage. Debate is healthy but I think its a bit too easy to over speculate this stage and already there are many pundits on these threads boxing themselves into corners ("Ill never own a PDK GT3" etc). If PAG are going to drag me into the digital driving experience/age finally, (the most modern 911 I have owned to date being a 996 GT3), then I just pray this GT3 lives up to AP's promises and is a class leader. Until we hear from someone who has driven the car (other than AP or the PAG team) then we just have to wait....and speculate LOL! eztrader. You are correct and preaching to the converted (with MIke and myself at least as we already have orders in). The first cars into the USA will likely be Xmas. However the Europeans will have their cars delivered before November I suspect and the official "first driive" for Journalists is likely to be early September Id imagine. Magazines like EVO may get a demo LHD 991 GT3 shortly after this time to run a true shake down piece and that's probably the best information we will see until Nov. A long time to wait!